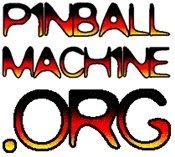 PAPA TV covered the recent Chicago Pinball Expo tournament. Here you go: nearly 10 hours of tasty competitive goodness with commentary. And if that’s not enough, go to their Youtube channel and they have even more.